Prosperous Entrepreneur- Marketing and Success for Advisors: Do you Really Know Your Ideal Clients? I bet you think you know who your ideal clients are… but do you really? One of the questions I ask prospects during a sample coaching session is "Who are your ideal clients?" I like to get a feel for how much work an advisor has done regarding finding out who their ideal clients are and what makes them tick. Once you find out what makes them tick, you can find out where they hang out, which makes your Marketing Plan much easier to implement. "I work with individuals or business owners who have more than X investable assets"
"I target clients who are over age 50"
"I like clients who pay me"
"I work with clients who need advice"
If any of these answers sound like you, you may need to work on an Ideal Client Profile. When we have a firm idea of our Ideal Clients it is far easier to find them and attract them. 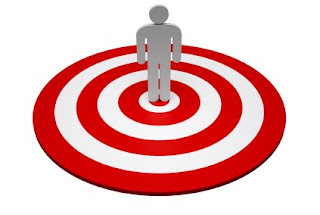 An Ideal Client is your Target Client on steroids. Take all the demographics and a dose of who you love working with and that is your Ideal Client. What do your ideal clients do for a living? What organizations do your Ideal Clients belong to? How can you fine tune your networking to attend events where your Ideal Client congregates? One of the many benefits of engaging in deeper research regarding ideal clients is that you become more referable. If you're able to educate allied professionals about who you'd like as clients, you're more likely to get referrals to them. Make this an area you research this year! Great post. So often people say "Everyone is my client!" Yes...of course everyone can benefit but who values your services. I find it is easier to think about your favorite current clients and answer that question. See if there is any overlap. Thank you Tanya. Yes, researching who you really WANT as a client is extremely beneficial as we know we can attract what we ask for! One benefit of narrowing your ideal client like this is that it saves you time. You don't bother marketing to folks who don't fit your profile. I'm so glad I've got a narrow niche.